Live the Country life you've always dreamed of with this charming farmhouse property! Remodeled and updated yet retaining all the vintage features that make it special. Stainless steel appliances and granite countertops in the kitchen. 3 bedrooms with gorgeous hardwood floors. Lots of trees and bushes create private park-like feel around the house and yard. Large deck is perfectly situated to enjoy an evening cocktail and watch your horses enjoy life. Newer maintenance free siding. Newer roof. 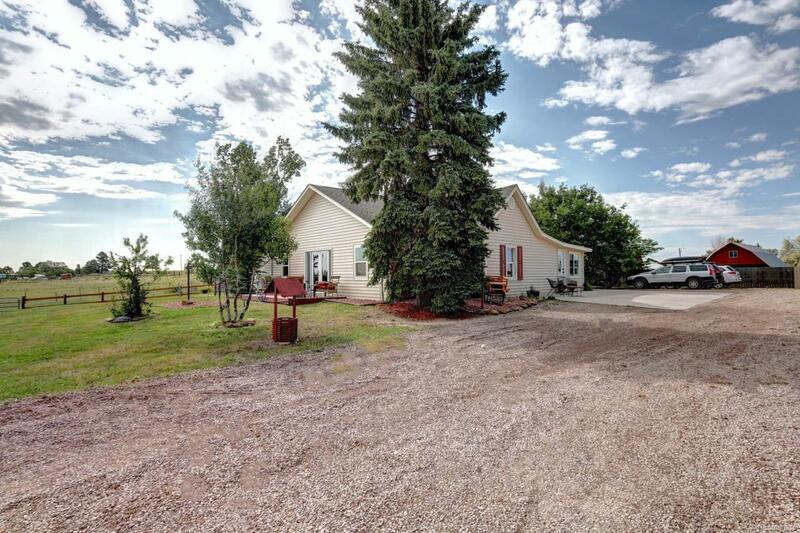 Equestrian paradise includes 2 stall barn w/tack and feed rooms, extra hay storage. Large loafing shed w/water & elec can accommodate 4 more stalls or runs. 11+ acres of beautiful grass is fenced and X-fenced into five separate pastures-ideal for pasture rotation. Large outdoor arena (90x180) already has electricity in place for arena lighting. Extra bonus - deeded water rights are included. Located minutes from Parker and Elizabeth. Come visit and you won't want to leave!! Offered by Mb Home And Ranch. © 2019 Information and Real Estate Services, LLC. IDX information is provided exclusively for consumers' personal, non-commercial use and may not be used for any purpose other than to identify prospective properties consumers may be interested in purchasing. Information is deemed reliable but is not guaranteed accurate by the MLS or 8z Real Estate. Data last updated: 2019-04-20T15:38:01.163.